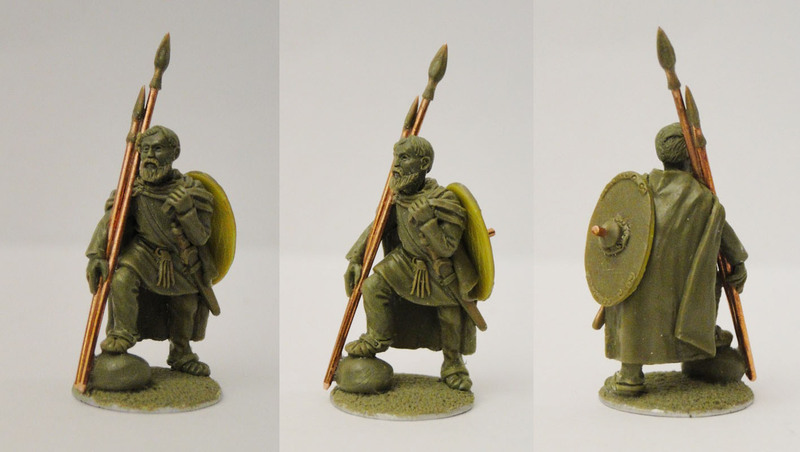 With this year’s special Hamburg Tactica miniature we travel far back in time. As befits our ROME theme room, we have chosen a Lombard lord of the time around the birth of Christ. The Lombards (Langobardii to the Romans) lived from about 100 BC to the 4th century AD along the Elbe river, including Hamburg and the surrounding area. They were a section of the Suebian tribe and closely related to the Semnones. Hamma, our Lombard lord, has been reconstructed in keeping with the finds in grave 150 of the Putensen graveyard. The reconstruction also takes into account the finds of bog mummies from Northern Germany, for example in his typical Suebian hairknot and full beard (Langobardii = Longbeards). Dear friends and visitors of the Hamburger Tactica. 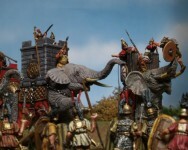 The special topic for this years event will be “ROME”.